If you haven’t yet booked a trip to India in 2018, now’s the time to reconsider. In the coming months, the Subcontinent will be welcoming a thrilling array of new hotel openings, pitched at travellers of all persuasions. 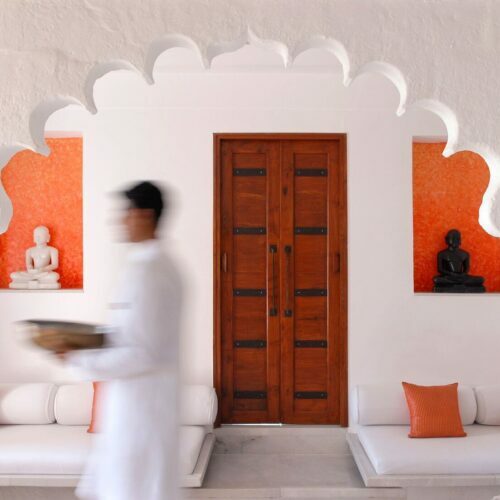 Discover Hampi’s wonders from the vantage of a luxury tented camp, explore the tropical beauty of the Andaman Islands, or get reacquainted with one of New Delhi’s most iconic hotels, which is reopening after a lengthy refurbishment. At these new hotels and retreats, you’ll have the chance to discover another side of incredible India. 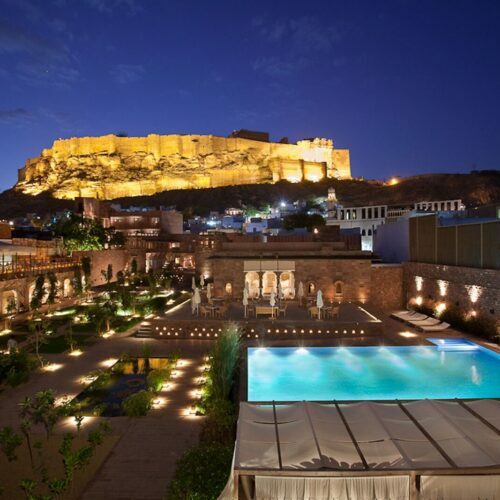 The Ultimate Travelling Camp—with its ultra-luxurious, mobile tented accommodation—provides one of the most evocative ways to discover India’s beauty up close. Now, it’s poised to launch the new Jaagir Lodge, Dudhwa, which will run until 15th June 2018. Located in the Terai (a stunning tract of land in southern Nepal and northern India with incredible biodiversity), the camp will provide the perfect way to get acquainted with the region’s unique flora and fauna. The glorious Hampi—a sprawling UNESCO World Heritage Site in Karnataka which is home to a huge array of temples and artefacts—will also play host to the Ultimate Travelling Camp in 2018. From late January until 15th July, the Kishkinda Camp will introduce visitors to Hampi’s wonders, as well as its museums, nearby nature preserves, and the winding Tungabhadra River. Given that new flights connecting nearby Ballari with Hyderabad have just launched, it’s also easier than ever to make a trip of it. Another enticing choice for intrepid travellers who also have a taste for luxury, Kaafila Camps will be rolling out several new locations in the coming months—quite the highlight for visitors to India in 2018. Roam across Ladakh’s valleys, discover iconic landmarks in Madhya Pradesh, enjoy the tranquil pace of life in rural Rajasthan, and get an up-close view of the Kalinjar Fort and Khajuraho Temples in Uttar Pradesh. Whatever your preference, Kaafila Camps will whisk you away. One of India’s truly iconic hotels, The Oberoi, New Delhi has undergone an intensive restoration and has been shuttered to the public since April 2016. From 1st January 2018, the hotel will be throwing open its doors to guests in a highly anticipated re-opening. The interiors have been modernised; new, clean-air technology has been installed; rooms are all outfitted with teakwood floors; and a number of tempting eateries—including the threesixty° all-day restaurant and a companion rooftop bar—will cater to visitors’ every culinary whim. Interest in India’s paradisiacal Andaman Islands is on the rise—and as evidence of its growing status, look to the upcoming debut of the Taj Exotica. Slated to open just in time for the start of 2018, the luxury hotel—which finds a home on the gorgeous Havelock Island—will offer guests 75 private villas, pampering at the Jiva Spa, a number of dining experiences and a host of memorable activities, from reef-diving to mangrove kayaking excursions. Travellers to India in 2018 should also turn their sights northwards. 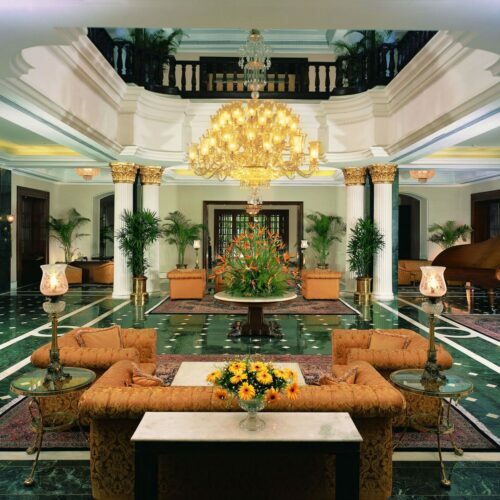 After all, Taj will also be opening a new, luxury property in elegant Shimla. Formerly the summer capital of the British Raj, and a gateway to the Himalayas, Shimla’s pine forests and peaks make it a natural wonder. At the Taj Theog Resort and Spa, visitors can embark on adventurous treks and nature walks before returning for elegant dining, restorative spa treatments, and other creature comforts.